Yes. 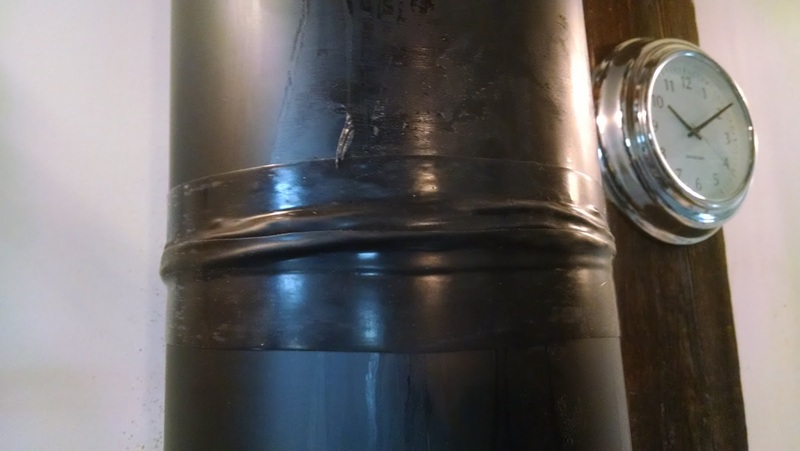 That is a metal drum in our home. And our only source of heat. 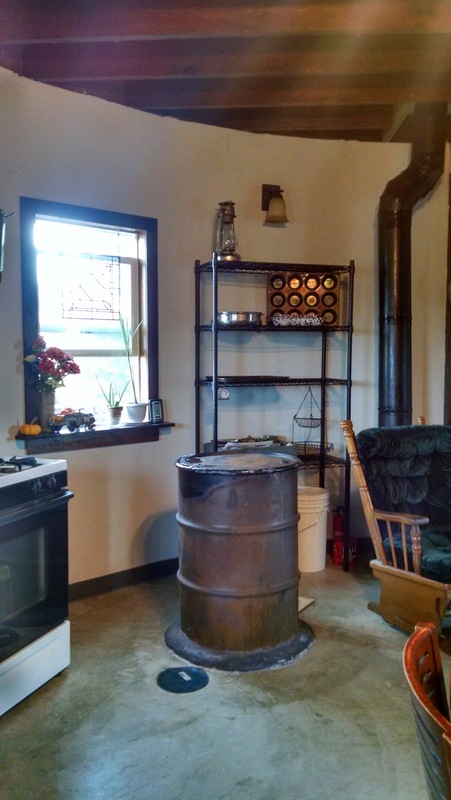 We've had our rocket mass stove for over a year now, built it ourselves, and were beyond happy about its performance last year. We would fire it up usually in the evenings about 4pm, burn wood for 2-4 hours depending on the temp outside, and then let it burn out before we went to bed. The grain bin stayed warm (65-70 F) for the next 20 hrs or so. The sticks we burn are all scrap wood from our 7 acres and no wider than three inches so they fit in the burn chamber well. 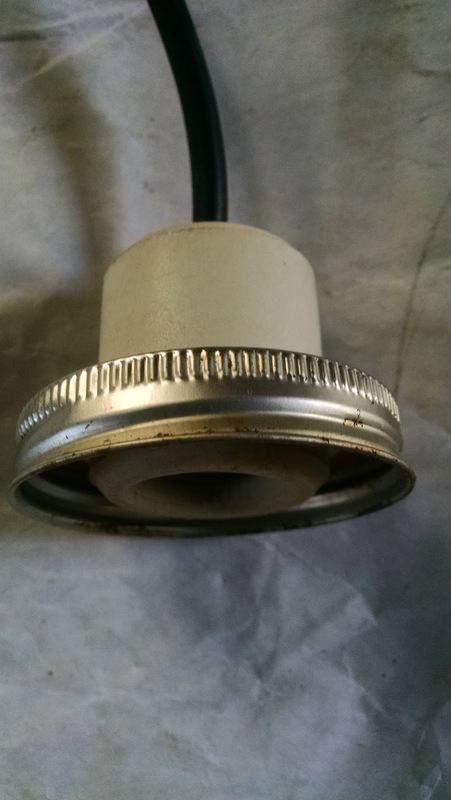 If you like to see more details about our rocket mass stove, the ducts in our concrete floor and how we built our sole heating system, please go HERE. 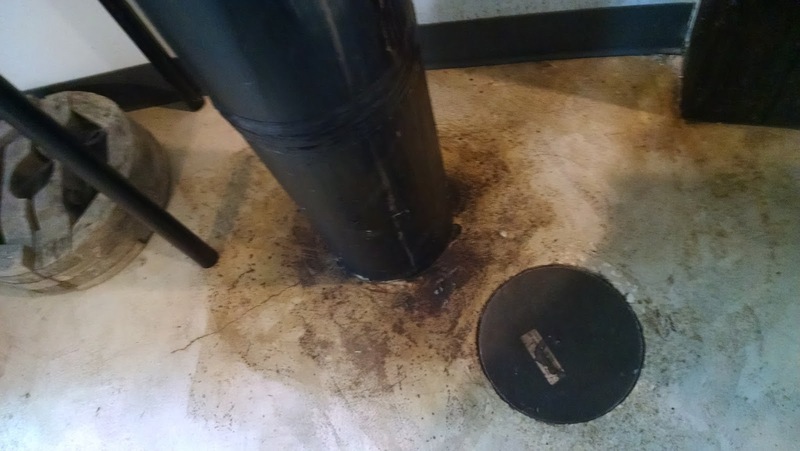 Of course the system was not absolutely error free, we had some issues with steam leakage between the joints of the stove pipe leading up out of the concrete floor and then outside. You can easily see the drippage on the pipes, on the wall behind the stove pipe, and on the floor. 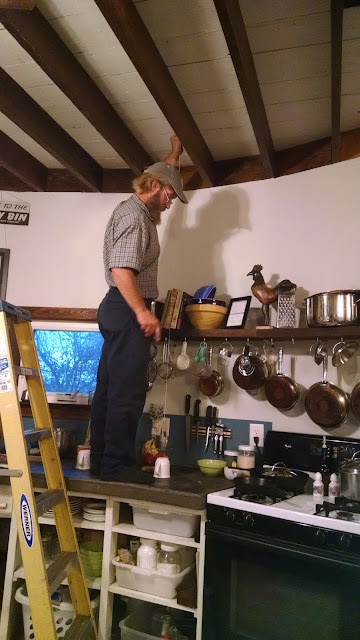 The wall of course made me sad, being newly painted surfaces, so on a day when the stove was not being used we caulked those joints well. or so we thought. The leakage was less, but did not stop. 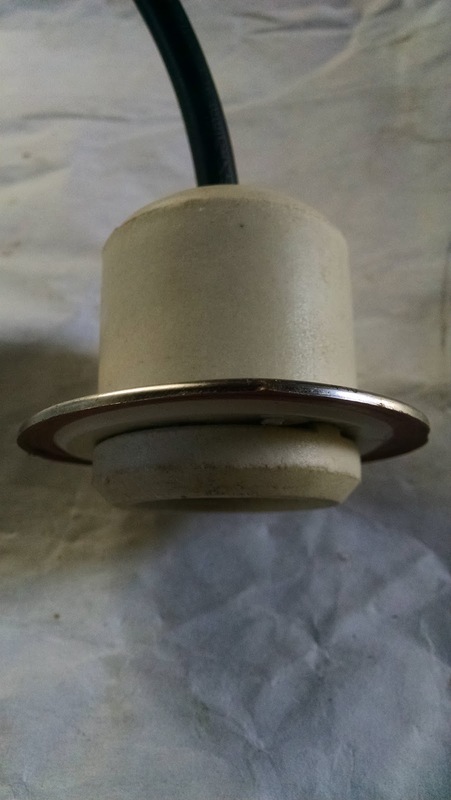 It was times like that, when we were still in rocket mass stove learning curve mode, that I was very happy for the concrete floor. 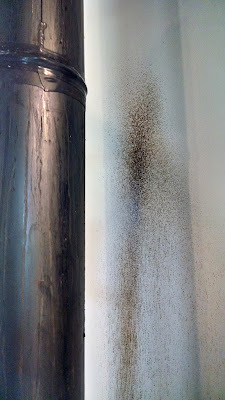 It was already ugly, so I tried not to fret the additional scarring done with the stove pipe oozing. I'll just paint the area around the pipe, and the wall again, later. 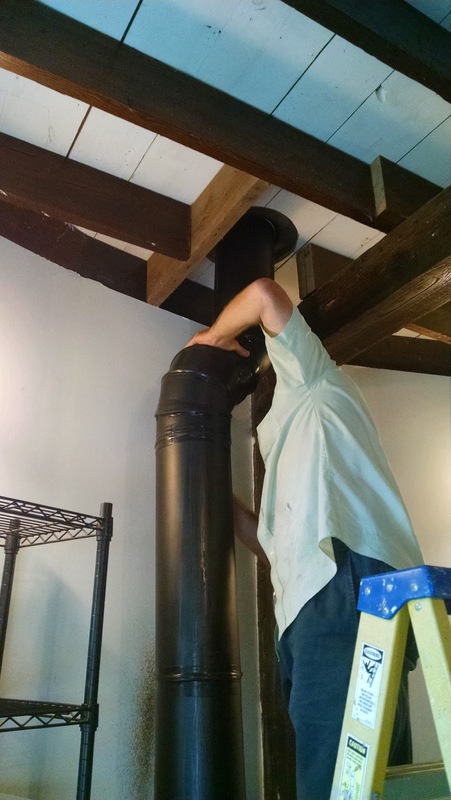 This summer we considered taking all the stove pipe above the concrete apart and reinstalling, but life got too busy when we had to deal with managing two farms. That story is HERE. So as winter is breathing down our necks, we decided to try another approach. I did some internet research and we agreed to purchase this Rescue Tape. This stuff is very weird. 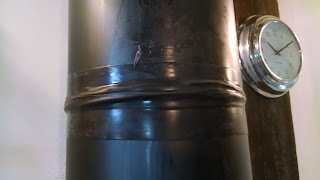 Not all all sticky to the touch, and you have to pre-stretch it before wrapping the stove pipe joints, but it does stick to itself. 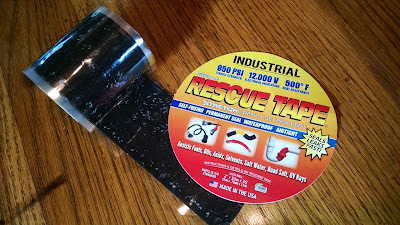 Hopefully it will seal up our seepage issues which primarily seem to come from the bend in the pipes. We won't know how effective it will be until we fire up the stove for the first time this year. Last year Lift Off Day was Nov. 15 and with the weather still being quite mild here in Illinois, we may even go beyond that day this year. When it is warm outside we open windows and let the sun heat the inside of the grain bin and the concrete floor. Around 4 when temps start to drop we just close everything up and the inside stays very comfortable, even on the nights when we did get a bit of frost. The area between the rocket mass stove and the wall, just under the window is where I put my winter clothes drying rack, but for now I'm still happily drying clothes out on the line. The metal rack (pic on the right) was found at yet another thrift shop for only $15. Keith raised it another 24 inches by attaching some extra metal pipes he had lying around, so now there is storage on both the four shelves as well as underneath. 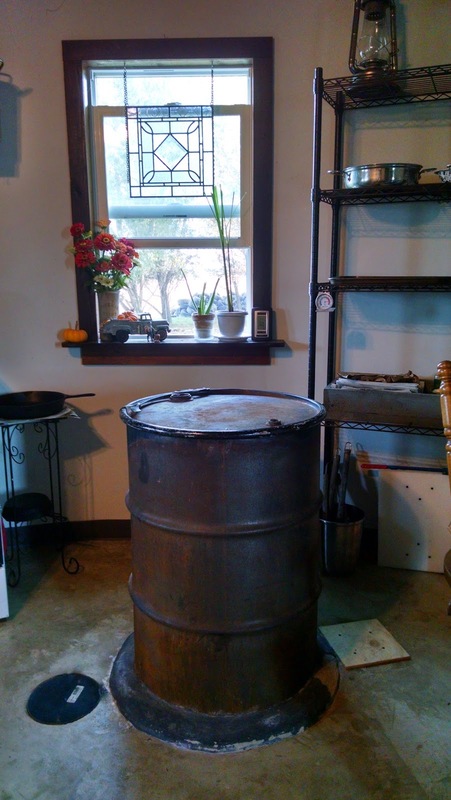 Stay tuned for Rocket Mass Stove Lift Off 2016 ! I am obsessed with food of late. It's all I think about, dream about, google about. I do not Tweet about it however. I don't know how. I am obsessed about how to freeze it, can it, dry it, hang it, cook it, anything at all to fill our larders full as our bank account steadily empties. No worries, (she said half-heartedly) it's all part of the Poor Farm Plan. But as we get closer to our goal of living under the poverty line (about $16,000 for two in Illinois) the more Holy Basil tea I am gulping. It has mild sedative qualities you know. 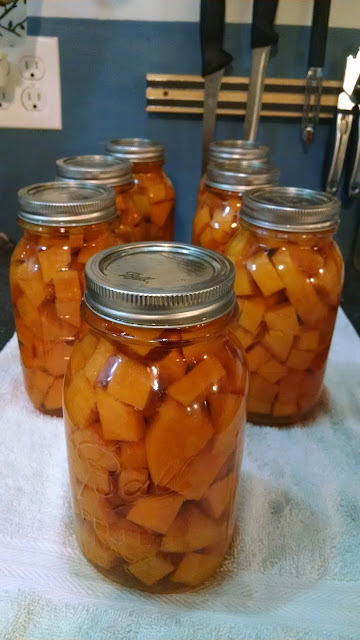 Although I have canned and frozen food before, it was, sort of a hobby. We did not HAVE to do it, we did it because home grown food tastes better and is scientifically better for your health. It's also a satisfying task. Our income the first twenty years of our marriage allowed us to buy food at the grocery store willy-nilly, as our appetites desired. This year however, is the year of truth. Our income is dribbling away so we must ramp up the whole self sufficiency package. Walking the walk and all that. So far this past summer I've canned green beans. yellow beans, tomatoes, salsa, sauerkraut, and ketchup. I've frozen corn, onions, peppers, pumpkin, eggs, and more tomatoes. I'm not bragging, just counting up number of meals. At this point I figure we can make it through February. 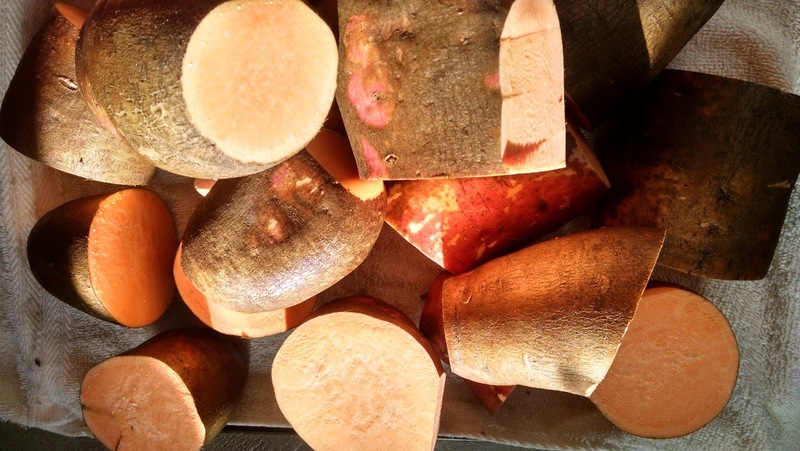 So to get us into March I'm now moving onto sweet potatoes. Unlike so many of my other blogger friends who did not have the best sweet potato crop this season, we were crazily blessed with more than enough. So much so, we were able to support several big mice found under the plastic mulch we used. We won't do that again over any root vegetables. Made for one great rodent hotel with unlimited food and shelter from the weather. 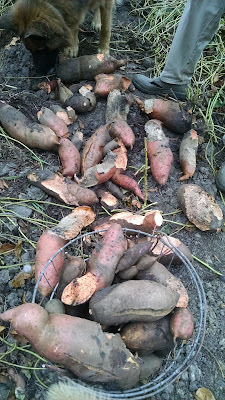 We estimate we lost about 1/3 of the sweet potato crop to Mickey and friends but still, there is plenty. 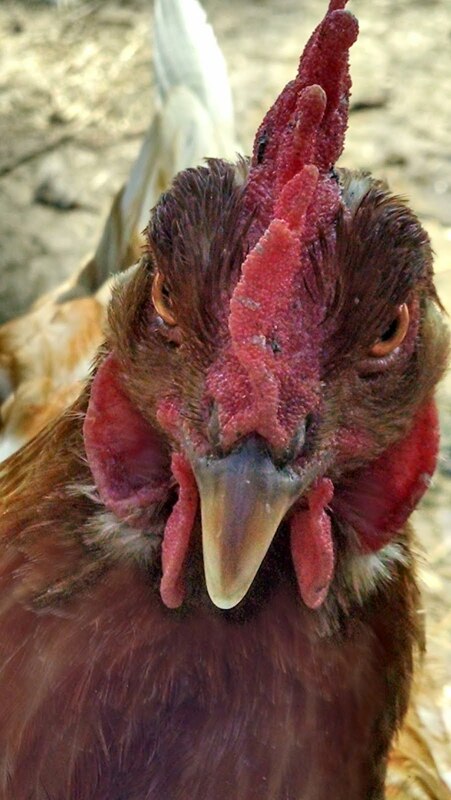 The badly chewed bits were divided between the chickens and the compost pile, while the rest is being canned. 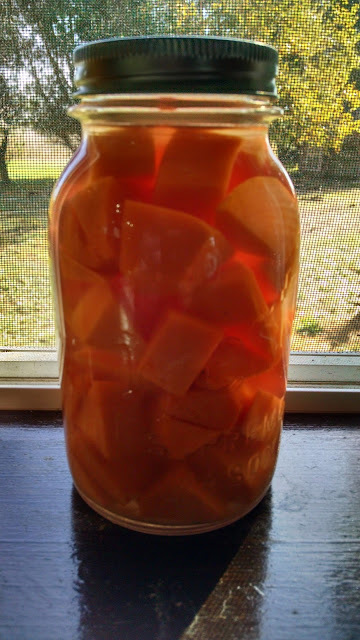 It' s long process of washing, parboiling, peeling, cubing, packing and then processing in the pressure canner for a ridiculous hour and 1/2. Fourteen quarts of the bright orange nuggets so far,with many more planned for the next few days. 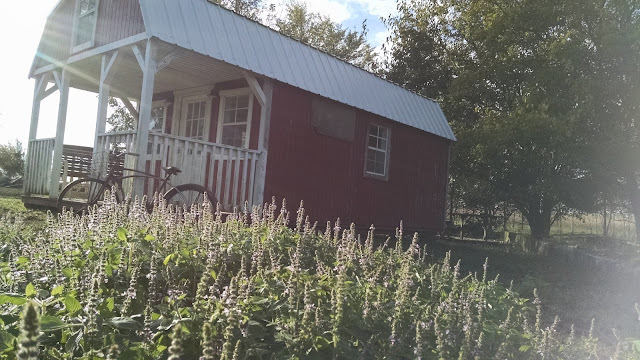 Last summer Keith brought home some basil for my herb garden and we planted it where last summers pigs roamed. 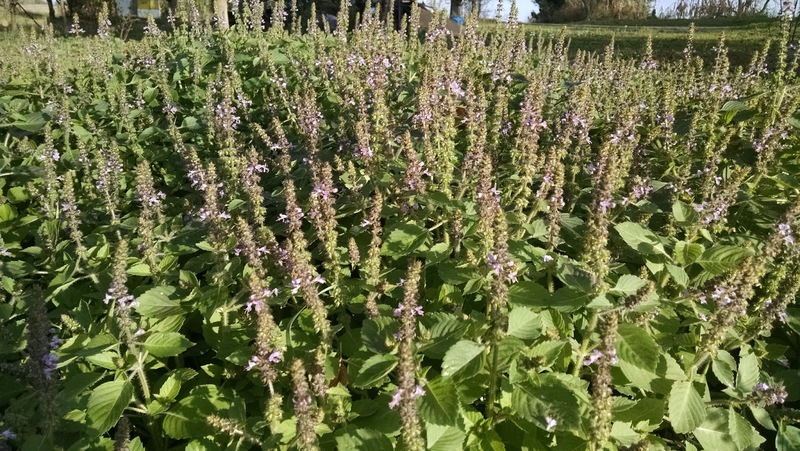 It smelled a little odd, no, wise-arse ones, not because we planted it in a pig pen, but because it was Holy Basil, not the regular Italian Basil I usually grow. Too busy running around last summer in Ireland with my study abroad gig, I pretty much ignored the garden and forgot about the stuff. This year, after doing a fabulous job of self-seeding, the Holy Basil (also known as Tulsi or "The Incomparable One") took off like a crazed loco weed. In a serendipitous manner this wild growth is just to the side of the studio (My Studio) and looks fantastic with it's deep green leaves and tiny purple flowers. Keith hates the smell of the herb and hinted about mowing down the patch, but I hopped on Google and discovered that it would be a marvelous addition to our home grown medicinal arsenal. So the patch was granted clemency. Just a few of its redeeming qualities are: anxiety reducer, sleep enhancer, blood pressure reducer, anti-inflammatory, digestive aid, antibacterial, antifungal, a treatment for the common cold. 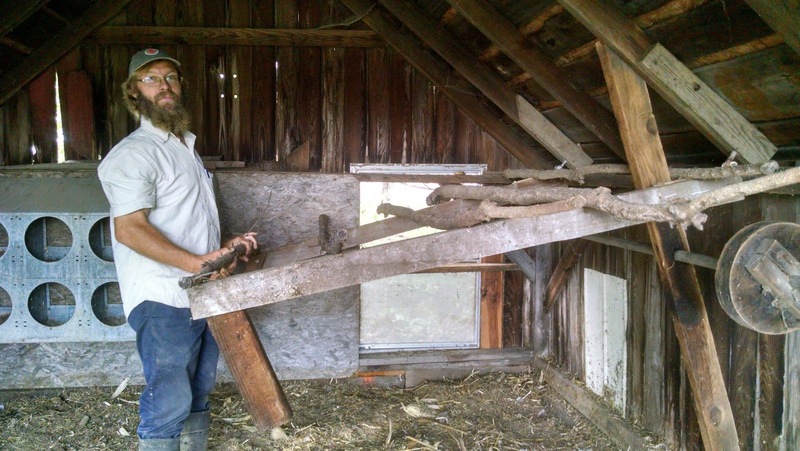 and if you accidentally amputate a limb while enthusiastically chopping wood, it will grow you a new one. All in all it appears I will be drying a good amount of this amazing plant this fall and testing it on appropriate subjects...like my family. Holy Basil Biscuits sound intriguing don't they? So, are you familiar with this centuries old herb considered one of the most sacred herbs of India with a deeply rooted history in religion and mythology? If so, put down your Holy Basil Bong long enough to make a comment. First and foremost a great big super huge THANK YOU to fellow blogger 1st Man of Two Men and a Little Farm who not only recently purchased soap from me, but was kind enough to blog about it. What an honor. 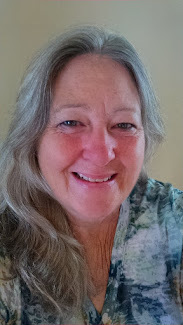 For those of you not familiar with his blog please check it out, you'll be so glad you did, and tell him Donna from The Poor Farm sent you. I think I get Green Stamps towards a set of Pyrex bowls or something if you do. Back to this weeks soap, Winter Storm. 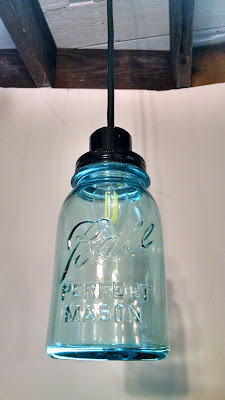 Pure Lavender essential oil for scent in a bar colored with Indigo in varying layers. The base is made with Coconut, Olive, Castor and Sweet Almond oils along with a hefty hunk of Shea Butter for increased moisturizing. 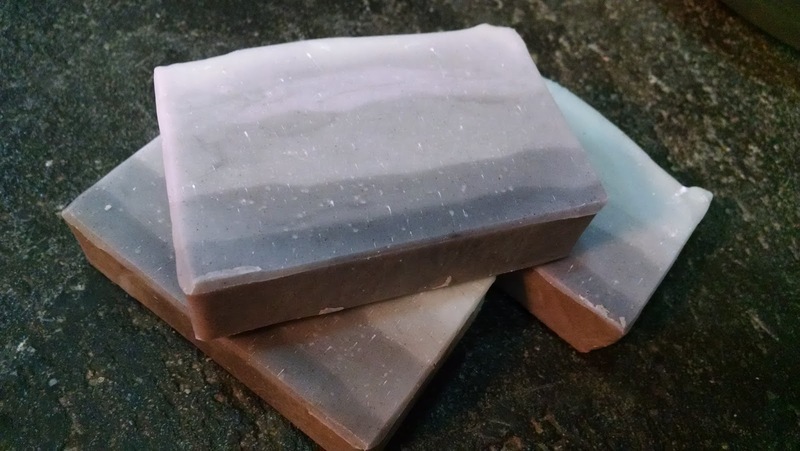 Just like the other soaps I've made so far, this is a very limited batch, only 6 bars are available, and it's first come first serve. Only $5 for a large 5,5 oz bar plus shipping. If interested just email me at opies99@gmail.com. And, for those of you who asked recently, yes, I'll be making some very specific Christmas soaps soon! And now, a moment for art. The walls of the grain bin house remain primarily bare but as weather cools and time allows we're finishing up more of the detail work, making decisions about the artwork we'll keep and what we'll pass on. Recently one of my sisters unearthed a couple more of my father's pieces, done within the last couple years of his life. She offered them to her siblings and I took one while younger sis took the other. The one I choose, a simple oil of a lone country mailbox surrounding by the muted plants and colors of Fall looked familiar to me, but I could not recall ever seeing it in my parents home. 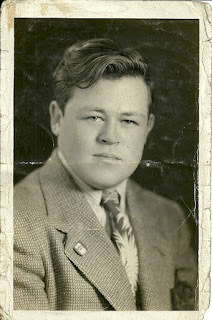 The date on the back was July 1990, two months before he died. For me it is a comment on solitude, just short of loneliness. A week or so before he passed he told me the process was similar to "dancing with oneself, there is no one for you to lead and no one to lead you". 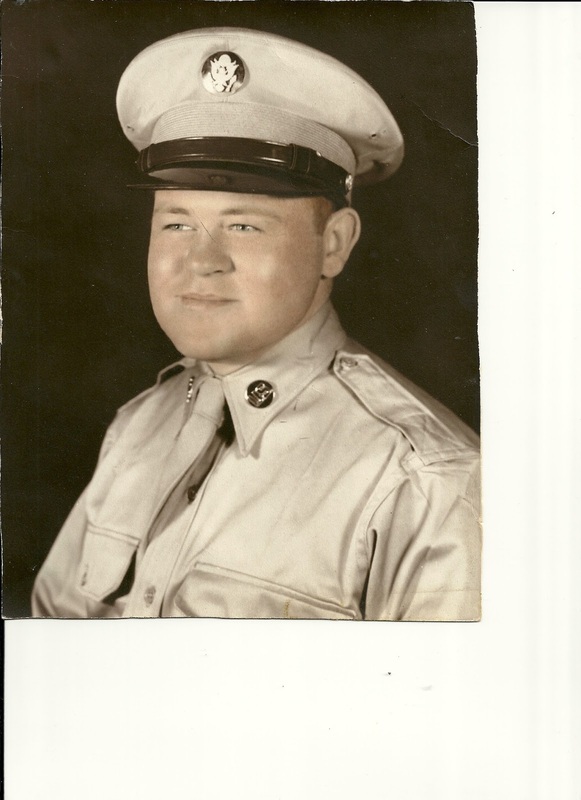 Each day was a struggle to breathe and although we had him in hospice care where he received both oxygen and nebulized morphine, his passing did not come easily until the last couple of days. He was only sixty-three but a long time smoker, most likely started at age nine or ten where smoking was a common way of coping with post-depression poverty and later the stresses of his service during the Korean War. It's been over 26 years since dad died, so seeing this painting, now referred to often, in this country at least, as "folk art"was surprising to me. I was sure I had seen all his work. For days after bringing it home I found myself tracing the brush strokes with my fingers, wondering where his inspiration lay for it. Was it a place in his childhood? Something he'd seen while on a drive? There was no way to know. Then about a week ago, I went out to get our mail and found myself full-on with a feeling of deja-vu. 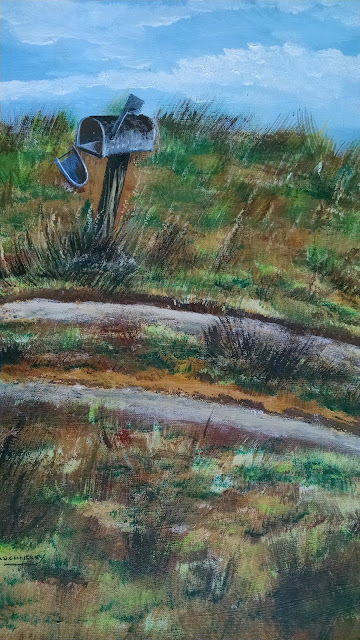 I went back to our grain bin house, grabbed dad's painting and brought it down our lane and up to our mailbox. There it was. 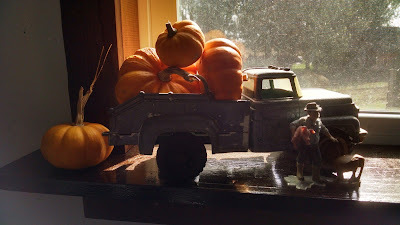 Apparently our father who was skilled in many things, like making the best popcorn and telling the best scary Halloween stories, was also a psychic, being as we moved here 24 years after he painted this scene. 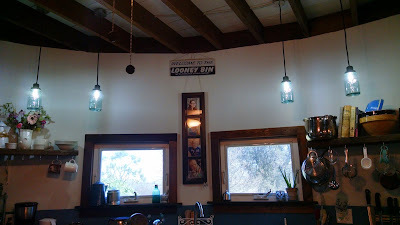 I wanted pendant lights for my kitchen, like the ones above. I needed them to shine down brightly on my food prep areas. I wanted them to be very cute. But I needed them to be cheap. I want, I want, I need, I need. 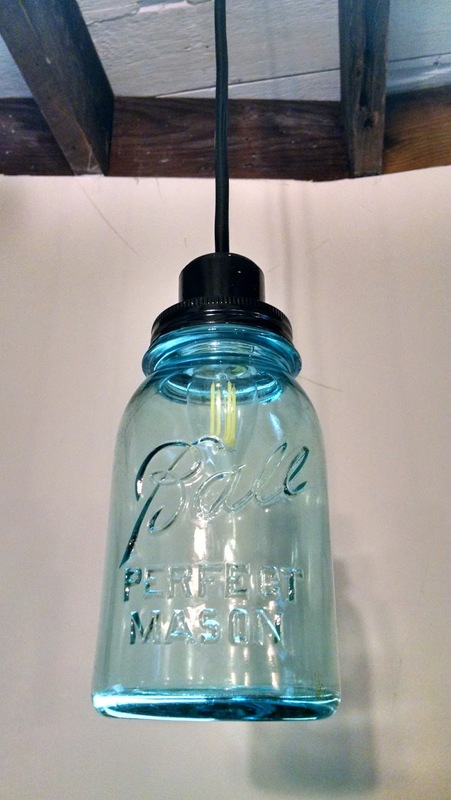 Keith once again came through by repurposing not only a few blue canning jars, but a pressure washer as well. I know. Who'd have thunk? 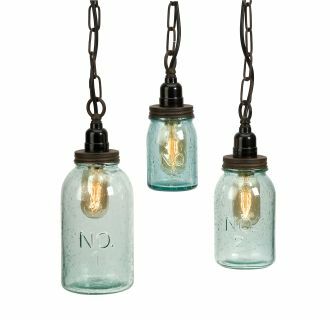 When we searched Pinterest and the rest of the net for ideas, we found tons of pendant light kits ranging from $15 to $60 each, and many included only the wiring and socket., no bulb, no jar, no additional wiring. Complete lights like the ones above were ridiculous in pricing, $149.50 as an example. So Keith inspected his hoard of shop stuff and found old (but still of this century, we think) pressure washer wiring, and sockets some other farmer guy threw in for no cost when we bought supplies from him a decade ago (the details-as always- are sketchy). I added the canning rings, canning lids and blue Ball canning jars I am partial to. 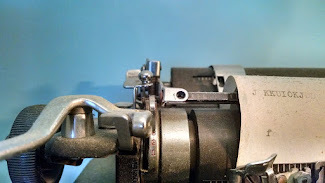 Once he completed the wiring to the sockets, he cut a whole in the canning lid to slip the socket through, then added the metal canning ring. I spray painted all the bits and bobs a glossy black to match the wiring. 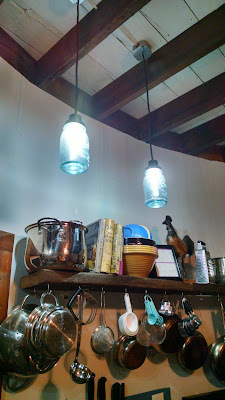 At the advice of our son, we bought the LED bulbs to keep the heat low within the jars. We chose the white bulbs (as opposed to yellow) at 500 lumen strength which is roughly equivalent to 60 Watts of a standard bulb. 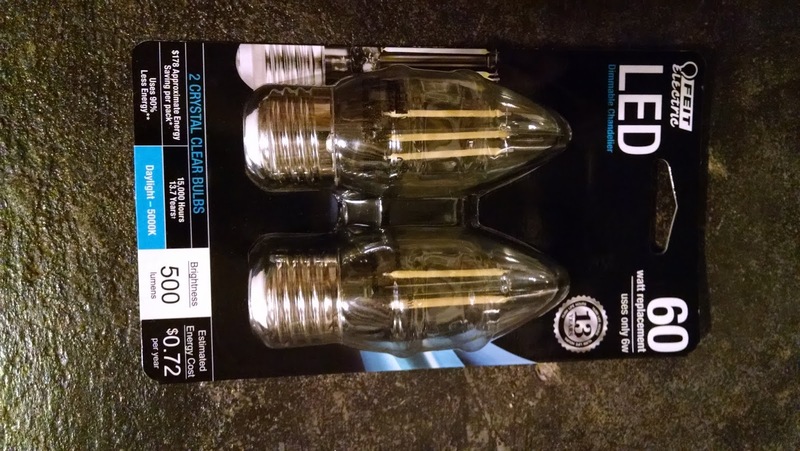 These bulbs were the most expensive item of the whole project at $15 for two, but they are projected to burn for 15,000 hrs. Unlikely that even I will continue to burn brightly for that long. To attach to the ceiling we used metal boxes $1.50 each, already on hand. 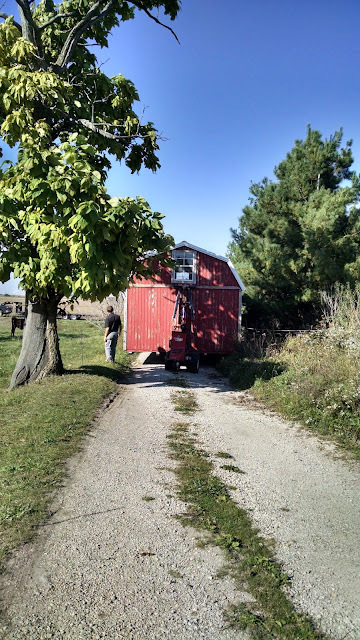 The wiring to the boxes had already been paid for with the initial wiring of the Grain Bin House done last year. 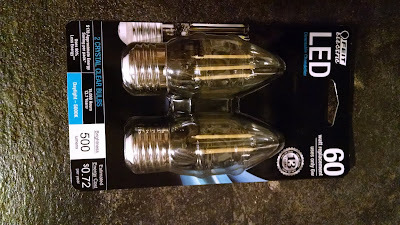 Thus, total additional cost was just the bulbs or about $7.50 for each complete pendant light. 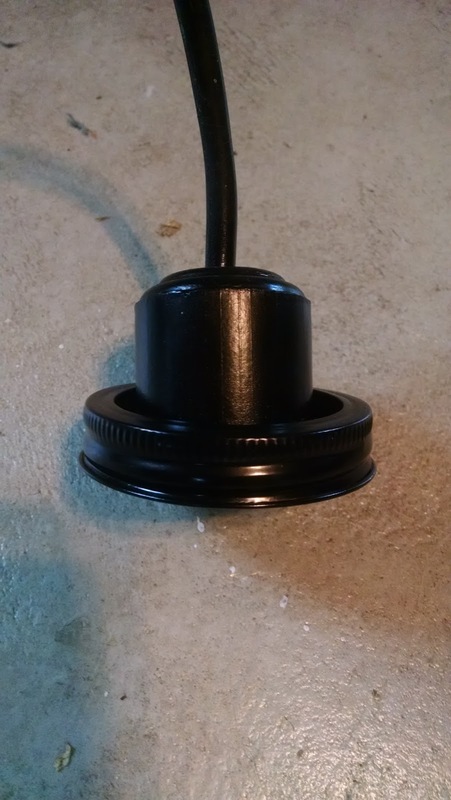 Yes, even the spray paint was a leftover can. And the man who installed them. 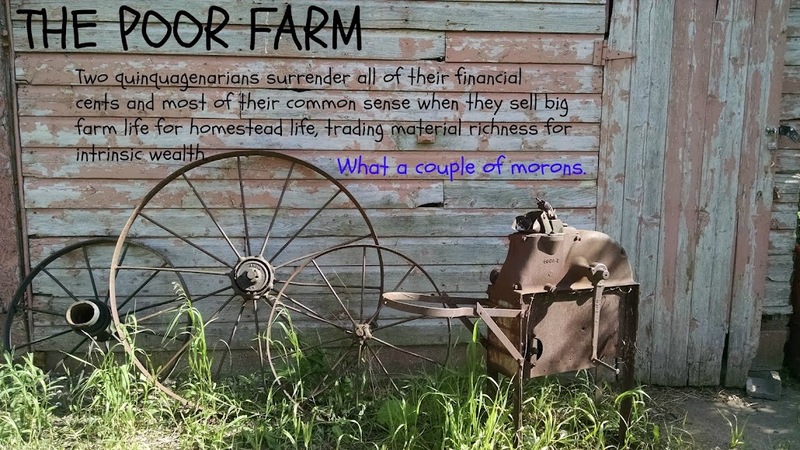 As we continue to clean up and divide out the farm in Chatsworth, we have been faced with many decisions about what to keep, what to sell, what to store, ad infinitum. One decision made; to move the building we used as our retail farm store for nearly seven years, up to The Poor Farm. The picture above was taken just minutes before it's departure. 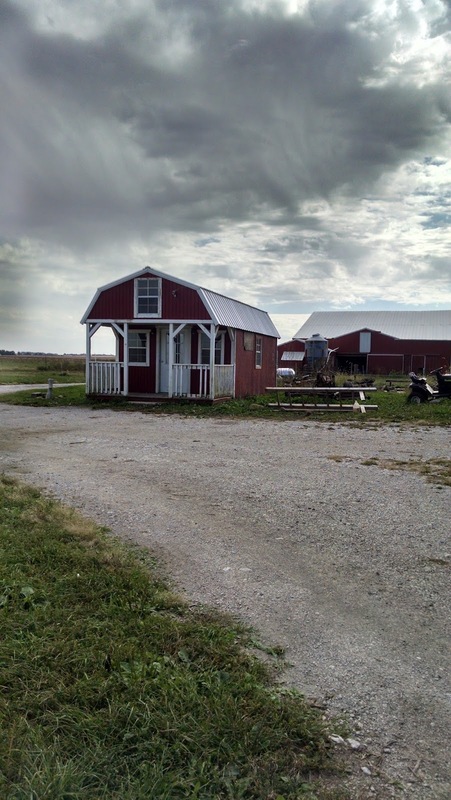 Countryside Barns of Eureka, Illinois originally built the structure for us and then moved it to Chatsworth back in 2010. 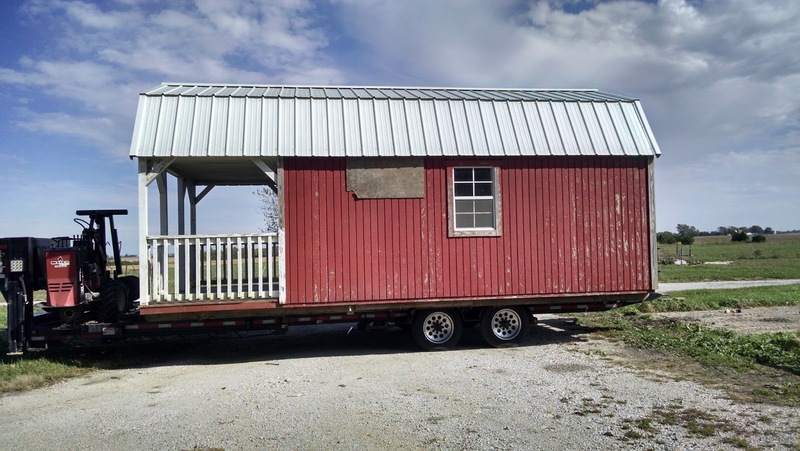 It was through the generosity of one of our customers (who offered to loan us the money for it) that we were able to have a farm store at all. We all benefited. 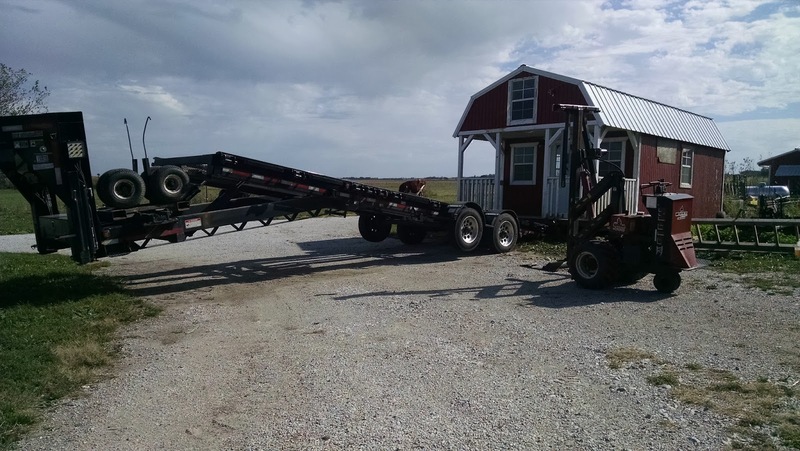 They invested in a small farmer with a modest return in interest, while we were able to sell our products from a safe and secure building, rather than out of our basement freezers as we had been doing. 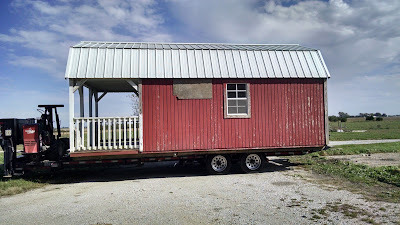 The building measures 12 by 24 foot and was solidly constructed, so moving it yesterday went well One young fellow (Ernie) arrived with a big truck and the coolest piece of equipment called "The Mule". 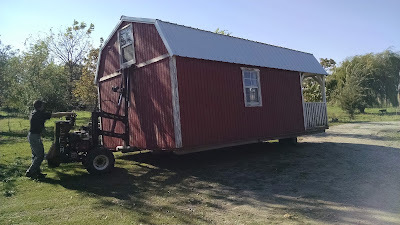 This device allowed capable Ernie to maneuver the building easily onto the trailer. 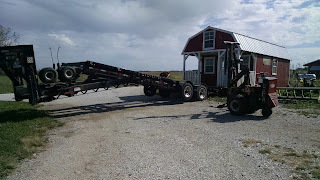 Fifteen miles later, with me leading the way flashers going and all, (I felt so official) we arrived at The Poor Farm where Ernie unloaded it from the trailer and then maneuvered it up our very narrow drive. Quite a difference from the wide open and flat areas of our Chatsworth farm. 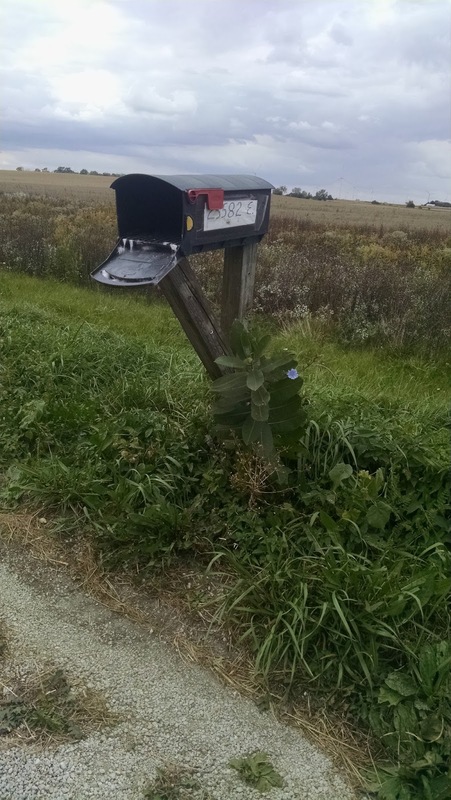 Once the building was turned up the drive, the task became tricky as the young man had to maneuver between electric fence lines and several metal posts. Finally up the drive he had to motor it over the ups and downs of our very unlevel land. leading to the buildings final parking spot. At one point I thought it would tip over for sure! But that Ernie, he maintained complete control and backed the building down the hill, nestling it in the same area we parked our Shasta camper last year which is near center of our property and several hundred yards from our grain bin house. 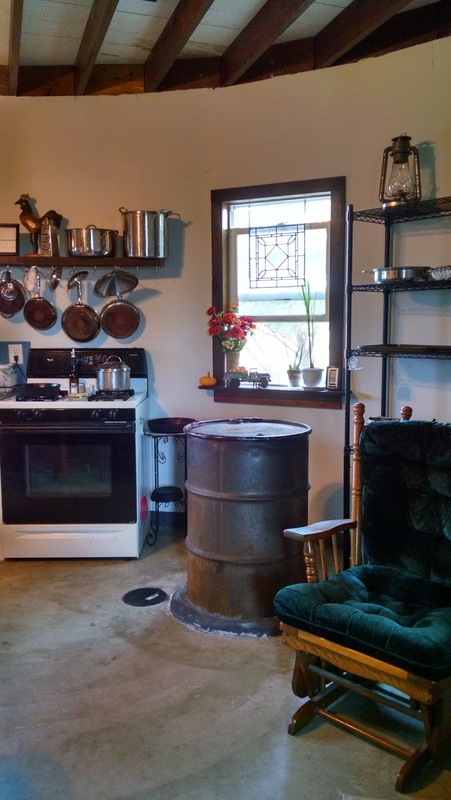 Welcome to your new home old farm store now turned guest house/writers retreat. Wait until you see the remodeling plans I have for your insides. Gonna gut you baby and dress you up like an old library I am. If anyone has a weathered leather club chair, preferably the one Dylan Thomas sat in, please send it my way. Saponification Saturday or is it Sunday? Took a little overnight trip up to the Quad Cities with my three sisters and so lost track of the days. That's my excuse for this weekend anyway. Pumpkin is all over our farm and in my kitchen so why not put some in my soap as well? I found a recipe on line and it worked real well. 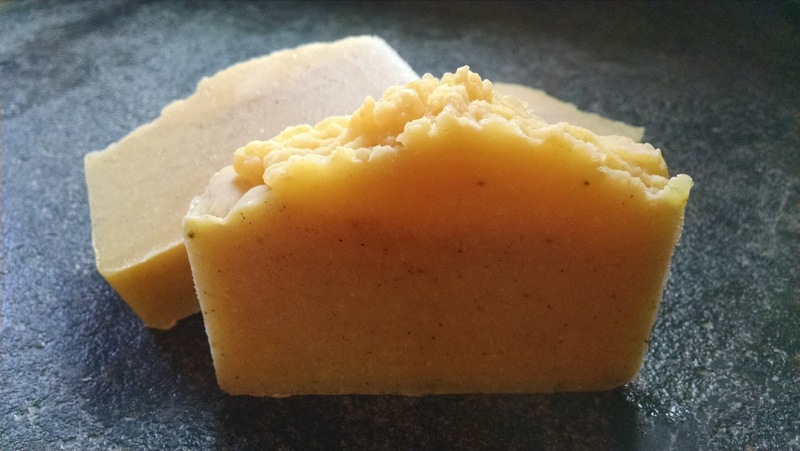 Using 4 oz of pureed pumpkin to replace 4 oz of water in my lye water and using cinnamon and orange essential oils plus a small amount of clove powder, resulted in a wonderful autumnal bar of soap. 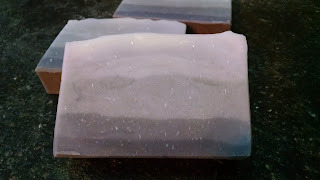 The soap is two layers varying only slightly in color intensity and has a textured top. As with my other soaps they are a hefty 5.5 oz and only $5 each plus shipping. Each bar is made of Coconut, Olive, Castor and Sweet Almond oils. There are only seven bars available. Please email me (opies99@gmail.com) to order and be sure to tell me your address so I can give you the total amount. I take Paypal or check. 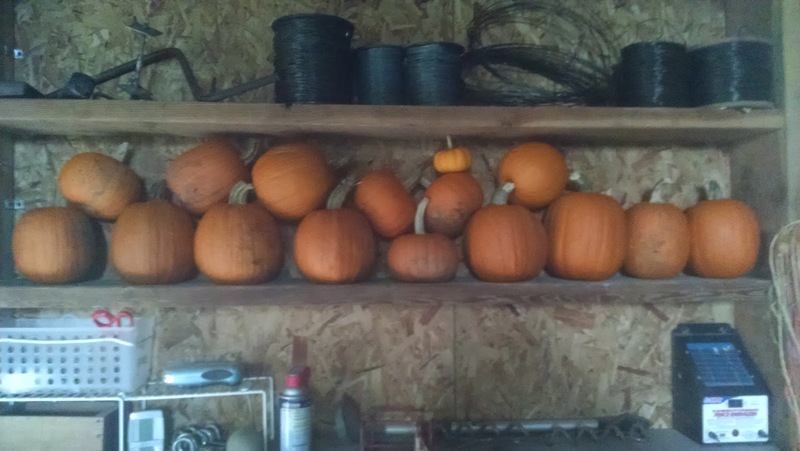 With food production as a major focus this year, we added pumpkins to our garden areas. We roped off a section of the area our horse grazed in last year, tilled it and presto chango! Horse turds evolved into orange spheres. Organic gardening is so cool. Stop with the frowning. 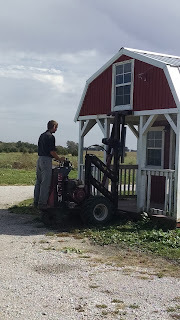 Ennnis' manure was well rotted and mixed in with dirt, straw and other organic materials which created the perfect environment for squash, pumpkins and various corn varieties. The sugar pie pumpkins ripened last week and we've stored much of them in our small feed shed, but since I want to get it used up before things start freezing around here I'm been busy cooking with it, freezing it, and even making soap with it. I'll show you the soap next post. Preparing it for use takes some time but not much skill. Bingo. I'm in. 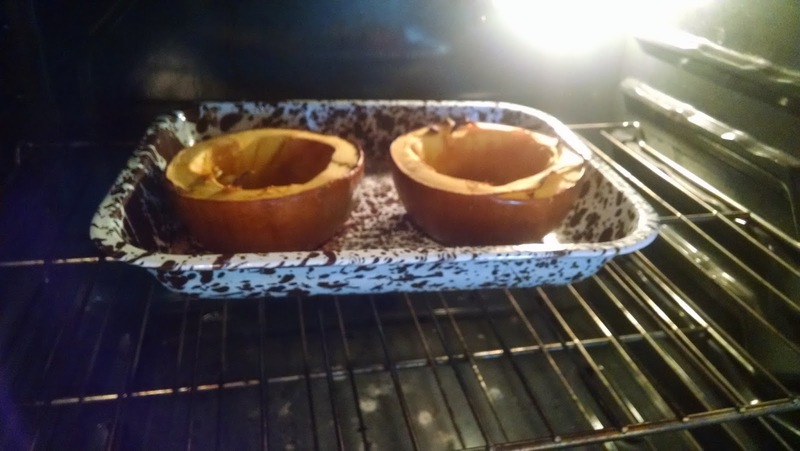 I halved the globes, removed the pulp and seeds, the seeds were salted and roasted separately, and put the two halves in the oven at 350 for about 30 minutes or until the flesh was fork tender. 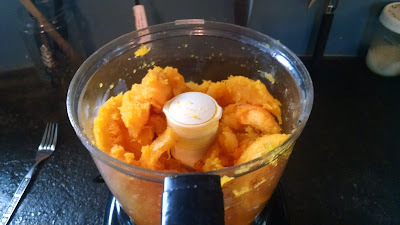 Then I scooped out the soft innards (after letting it cool) and pureed them in my food processor. To freeze, just put the pureed pumpkin in any kid of freezer container. I use old cottage cheese containers. 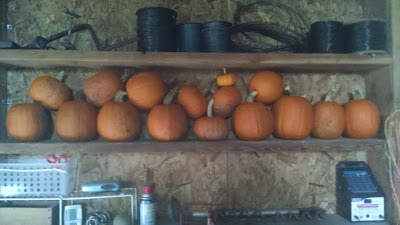 We have enough pumpkins that I hope to can some of the puree as well. Haven't made a pie yet, but I will, I certainly will. 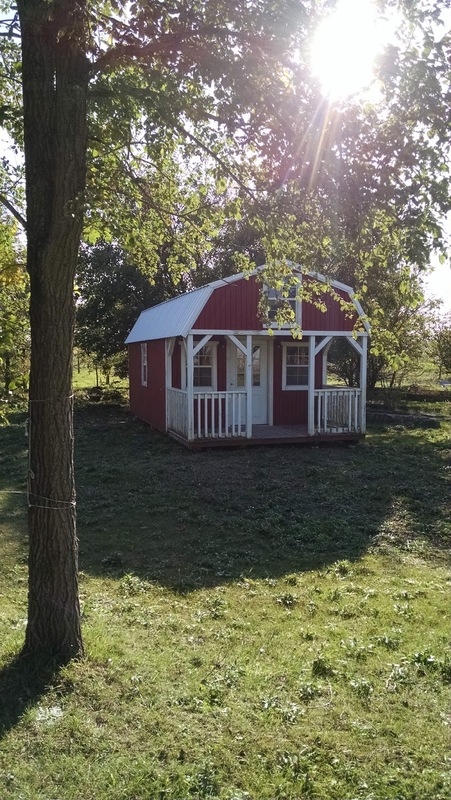 Yesterday Keith wrapped up some of the details on our repurposed, remodeled, recycled chicken coop and so for all practical purposes of providing winter shelter, the coup is finished. 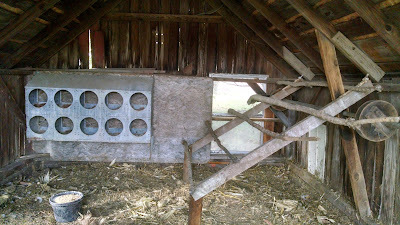 There are still a few holes in the roof and another small window to put in above the door and a couple of poles to attach to the front of the nest boxes for easier bird access, but the coop is functioning well and eggs are now routinely appearing within the big metal box on the wall. 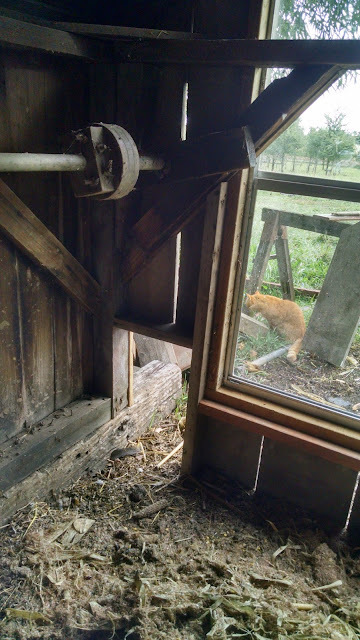 Naturally the birds did not just read an instructional brochure and then just start using the coop, no, we had to catch them while roosting in other parts of the farm, then toss them in here under house arrest. Once they catch on this is the place to go for fresh food and water they'll be allowed to free range outside as they please. 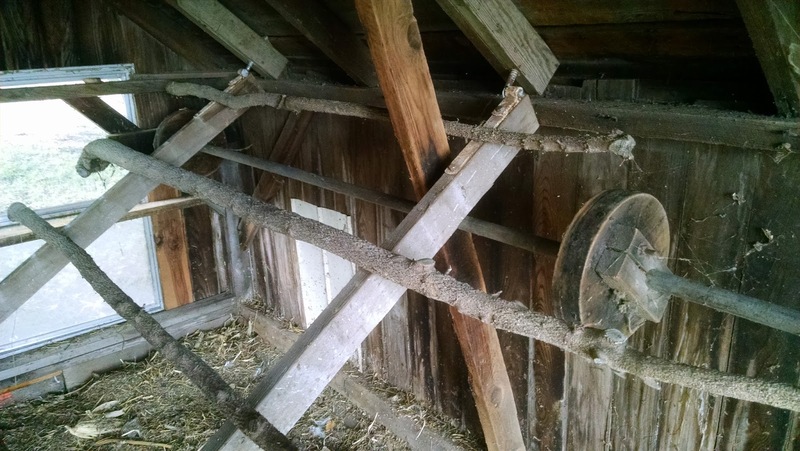 I especially love the design of the chicken roost. 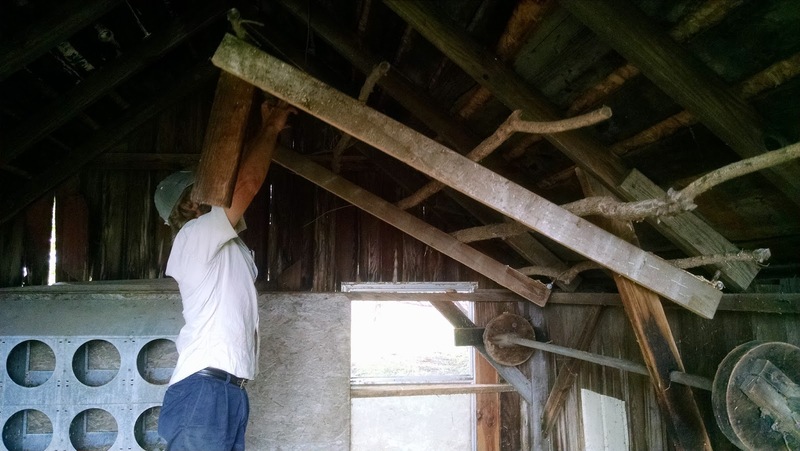 Made from tree branches just lazing about the yard Keith built it so it can be lifted up and hooked to the ceiling, allowing easy access to the manure gold that will accumulate beneath it. 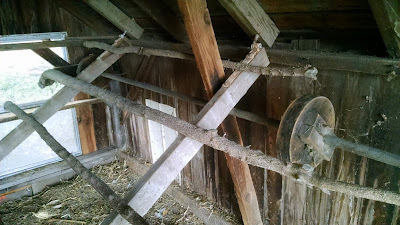 The round wood wheel at the end of the roost is part of the old belt and pulley system of the building when it was-we assume- a woodworking shop. The opening to the left of the window will be the chickens own private door so they can come and go freely after they complete orientation to their new facility. We don't worry much about raccoons or other predators getting in the coop as our livestock dogs, Fannie, the Great Pyrenees and Ashland the German Shepherd, live outside year round. They are excellent at keeping trespassing critters away from their farm animals. On the other hand, they have no bathroom manners at all, often making their huge doggie deposits directly under my clothes line. It's hard not to take that personally.